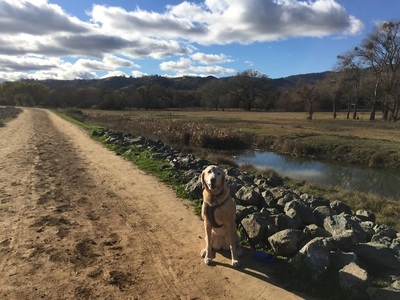 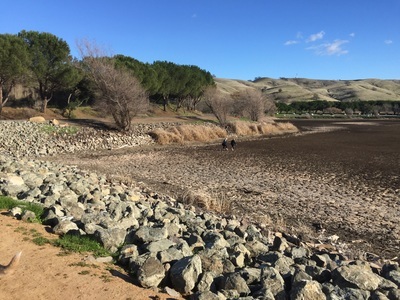 Description: During our visit in February the lake had mostly dried up, but you can still walk the 2.5 mile trail around the perimeter. 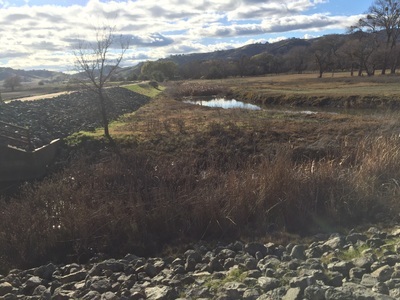 You'll still be able to see some small ponds and geese along the way. Although there is still some water in the center of the lake, it's nothing like the 8ft deep lake that used to be here. If you are just looking for an easy walk, stick to the perimeter trail. 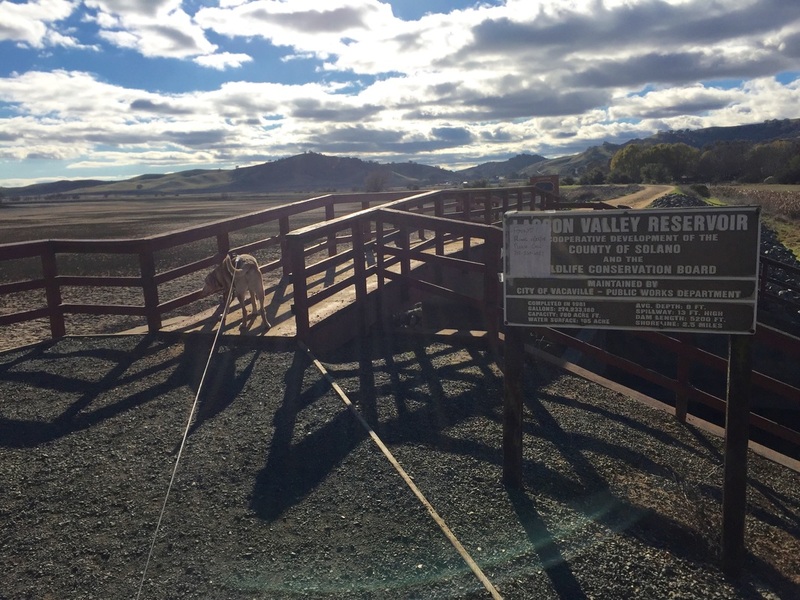 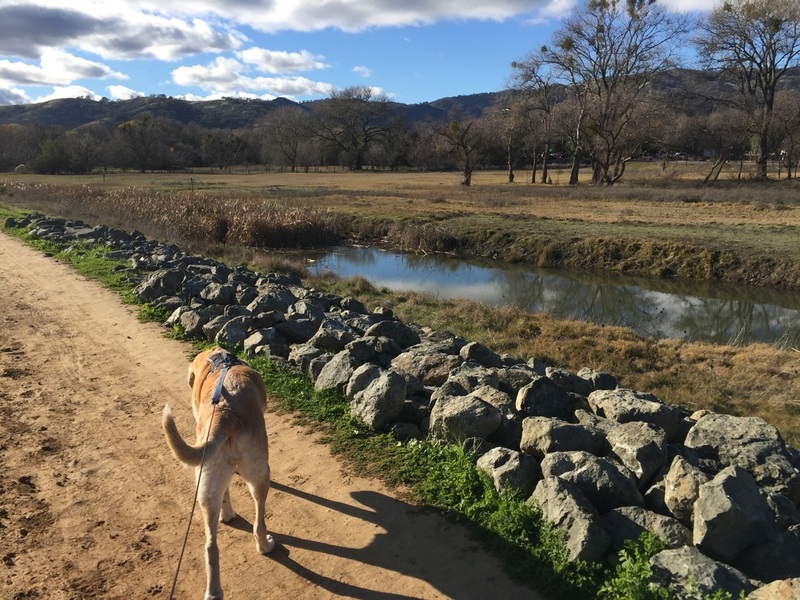 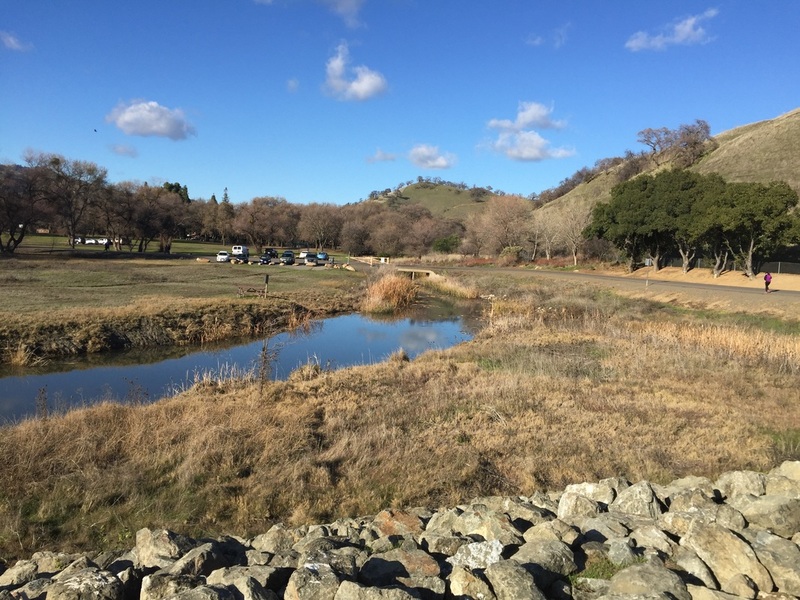 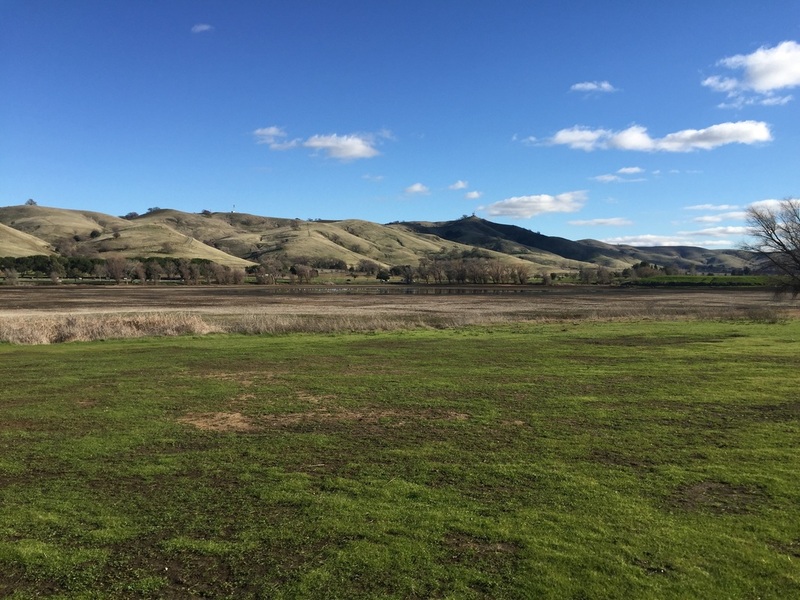 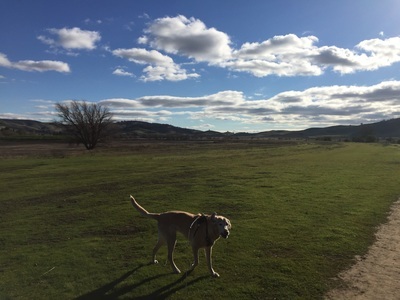 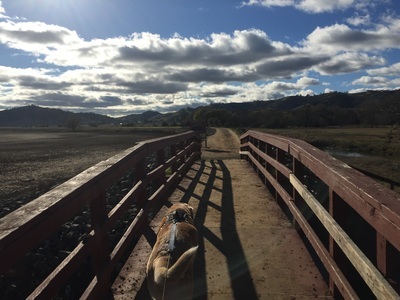 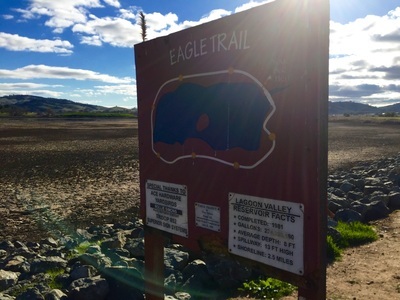 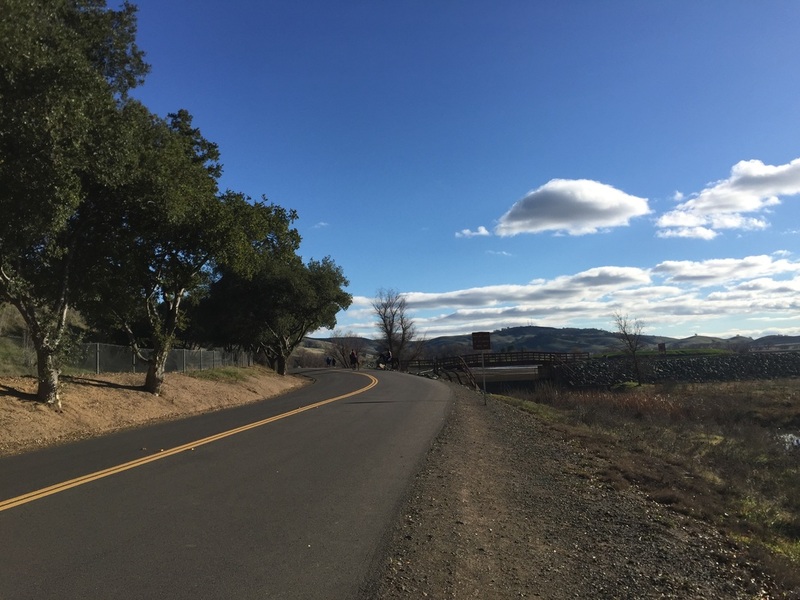 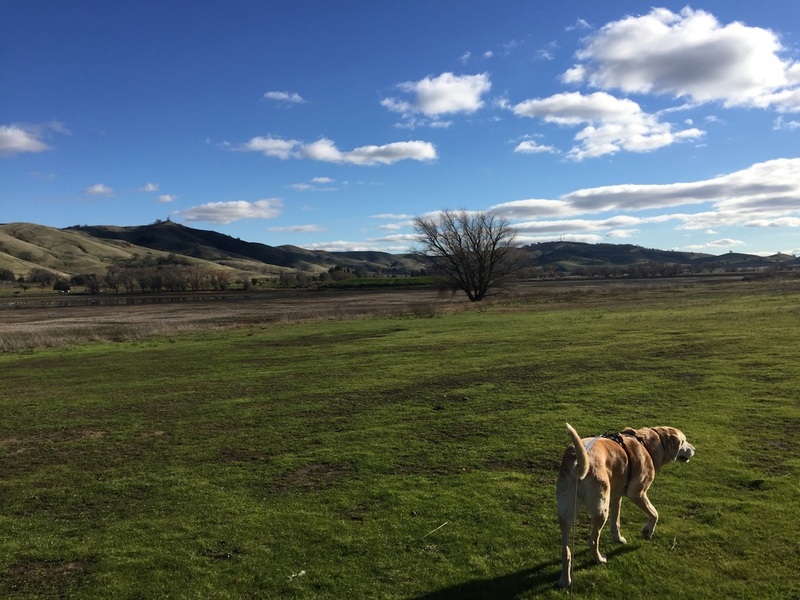 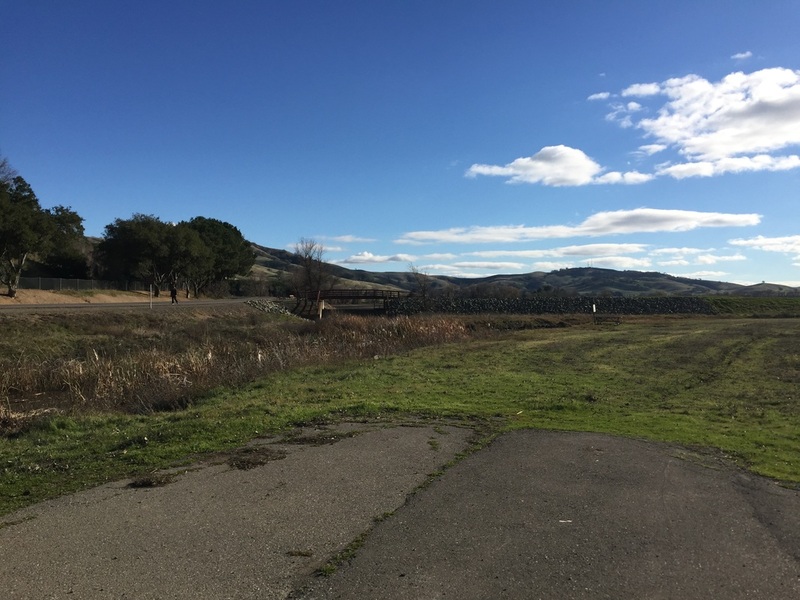 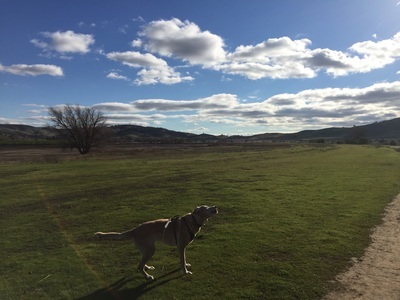 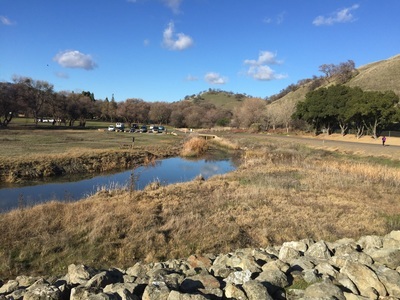 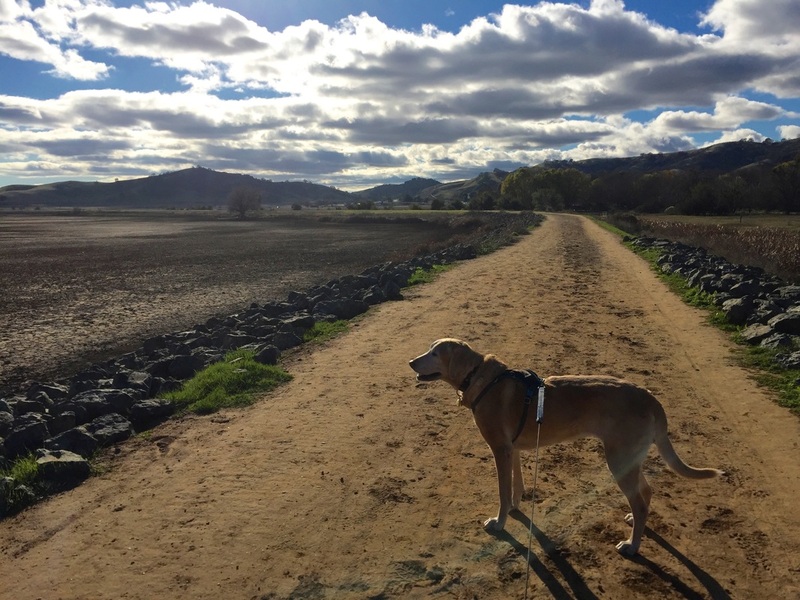 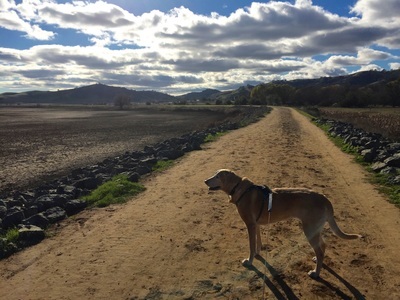 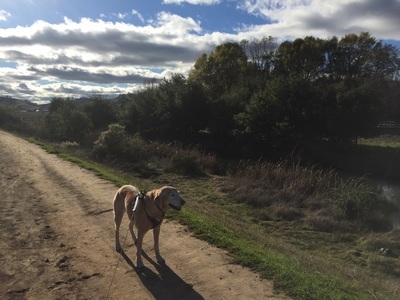 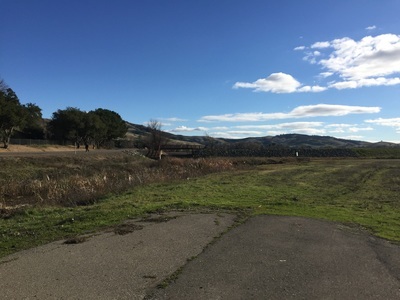 There are miles of hiking trails in the hills and at the nearby Peña Adobe Regional Park, if you’re looking for a more challenging hike. 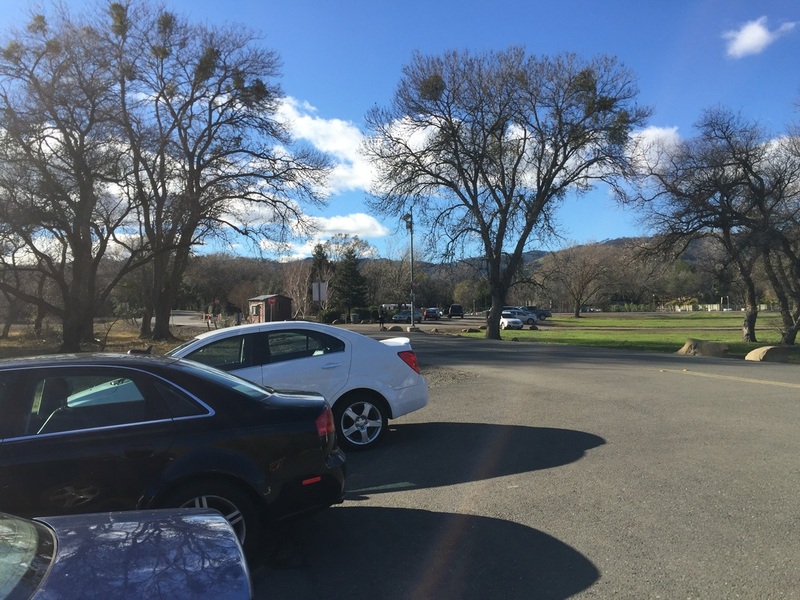 You can park for free at the main entrance and walk in to the main park. 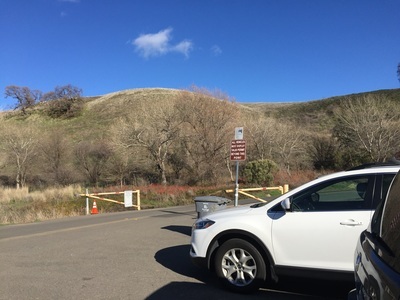 After the first parking area you will see a sign saying “entry fee enforced beyond this point,” and you only need to pay the fee if you drive in further. 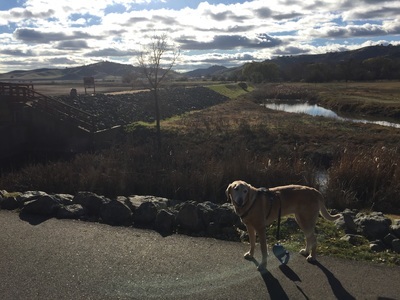 This park has a fenced-in off leash dog area with water and trash bins.